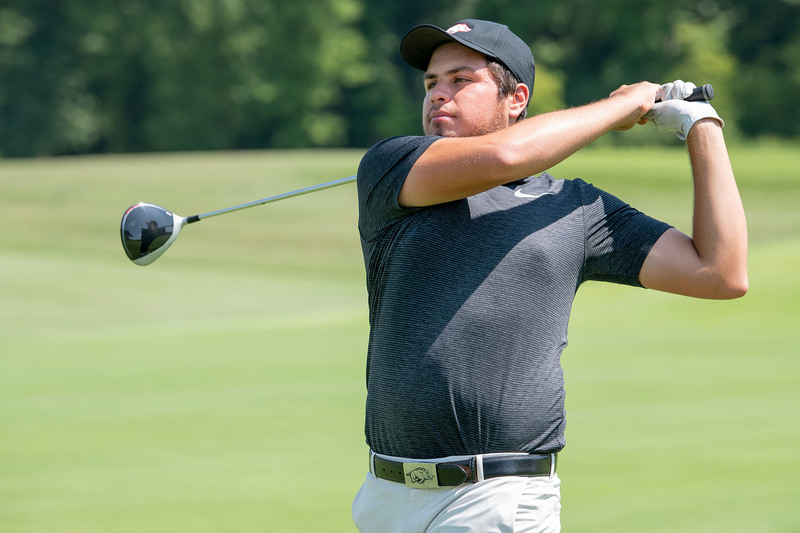 FAYETTEVILLE – The Arkansas men’s golf program will play its final regular-season event, the Augusta Haskins Award Invitational – presented by Valspar, before going to the 2019 SEC Championship April 24-28. The Augusta Haskins Award Invitational will be held April 6-7 at Forest Hills Golf Club (par 72, 7,005-yards). The 15-team field is hosted by 2010 and ’11 NCAA Champion Augusta and features third-ranked Wake Forest, seventh-ranked Texas, 19th-ranked South Carolina, 23rd-ranked Illinois and 37th-ranked Arkansas. Rounding out the field are Air Force, Georgia State, Houston, Mercer, Northern Illinois, Notre Dame, USC Aiken and Virginia Tech. This will be the Razorbacks’ first trip to the Augusta event in this the 40th year of the tournament. The last six years, Arkansas has played in Texas A&M’s Aggie Invitational for its final regular-season meet. Arkansas’ lineup will consist of freshman Julian Perico with juniors William Buhl, Tyson Reeder, Mason Overstreet and Luis Garza. Perico (71.67) and Buhl (71.96) carry a stroke average below 72 this season with Perico turning in 11 rounds of par or better and Buhl having 14 rounds of par or better. Perico and Buhl also rank 1-2 on the team in birdies with 92 and 89, respectively. Reeder leads the team with 327 pars this season and Overstreet has recorded rounds of par or better 10 times (playing one less event than the rest of the squad). Garza has three top 20 finishes this season – the second-best total on the team, including a third-place finish in the season opener. After Augusta, Arkansas will compete for the SEC Championship (April 24-28) in St.Simons Island, Ga. The NCAA Regionals will be May 13-15 before Arkansas hosts the 2019 NCAA Men’s Championships May 24-29 at The Blessings Golf Club. Arkansas and the Blessing Golf Club will also host the 2019 NCAA Women’s Championships May 17-22.